The Maryland Department of Environment (MDE) uses the revenue from the Bay Restoration Fund (BRF) commonly referred to as the "flush tax," to fund improvements to wastewater treatment plants owned by utilities throughout the state, including WSSC. The upgrades primarily reduce nitrogen and phosphorus pollution into the Chesapeake Bay. Effective July 1, 2012, the State Legislature doubled the BRF Fee to an average of $15 per quarter for each home served by a wastewater treatment plant. This quarterly fee is based on the days in the billing cycle. Commercial account fees are calculated based on “equivalent dwelling units,” or EDU’s. For more information, please contact the MDE. Additionally, you may fax the information to 301-206-7013 or email to cust-services@wsscwater.com. Questions regarding the exemption program should be directed to WSSC Customer Service between 7:30 a.m. and 7:00 p.m. by calling 301-206-4001 or by sending an email to cust-services@wsscwater.com. The Bay Restoration Fund was passed on May 26, 2004, in part, because of the Chesapeake Bay’s steady decline in water quality due to over-enrichment of nutrients (mainly phosphorus and nitrogen). The runoff from wastewater treatment plants is one of the top three major contributors of nutrients entering the Bay. The Bill (SB 320) was created so that wastewater treatment plant users can finance the upgrade of Maryland’s wastewater treatment plants with enhanced nutrient removal technology. 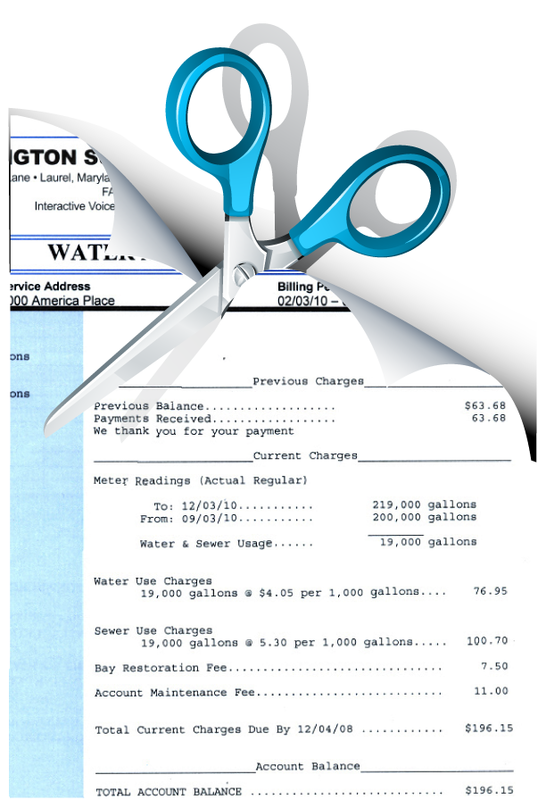 WSSC was tasked with billing the fee to both commercial and residential accounts as a separate line item on customer bills. WSSC collects the fee and turns the funds over to the State of Maryland to administer the funds.